I hope this post finds you well! I'm almost caught up! Yay me. Lol. Honestly this month I've been feeling a bit blah and I'm hoping that I get out of this groove soon. 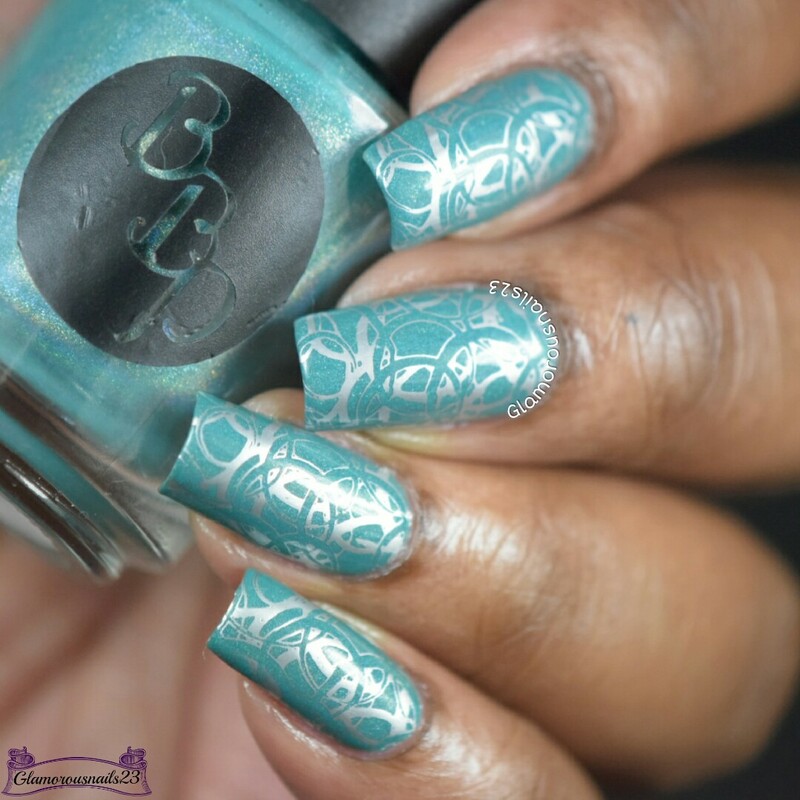 To get right into this post I have the mani I created for the Clairestelle8 January 2017 Day 21 Circles prompt. Let's get this started! Initially, I was going to do some freehand circles but to be honest, circles are on of the hardest things for me to draw symmetrically. But maybe I should make that a plan for me to try this year. 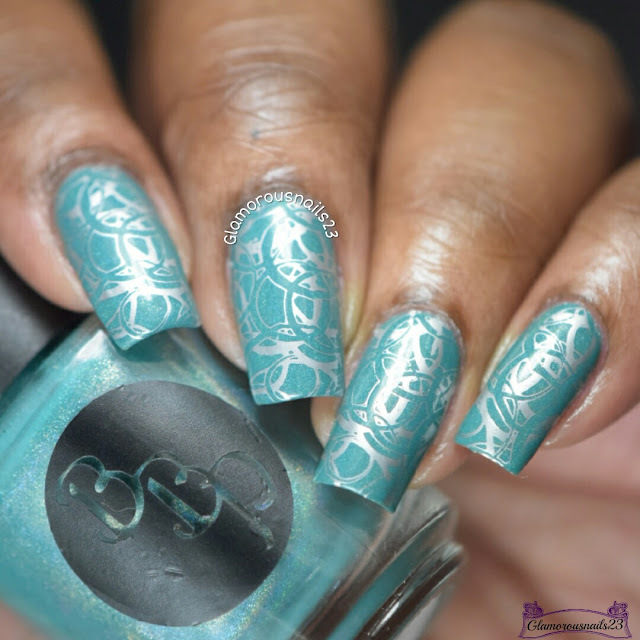 Seeing as I didn't want to do freehand work I went through my stamping plate collection and found this fun image to use! 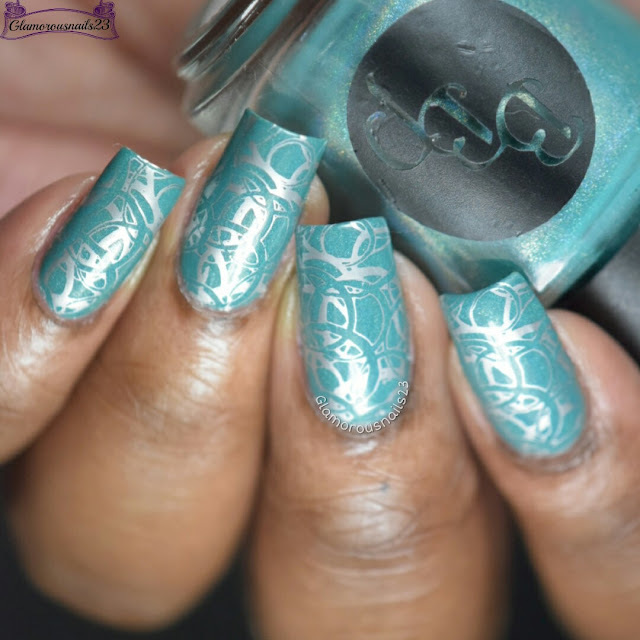 Do you prefer stamping or freehand nail art? Or both? Until next time!